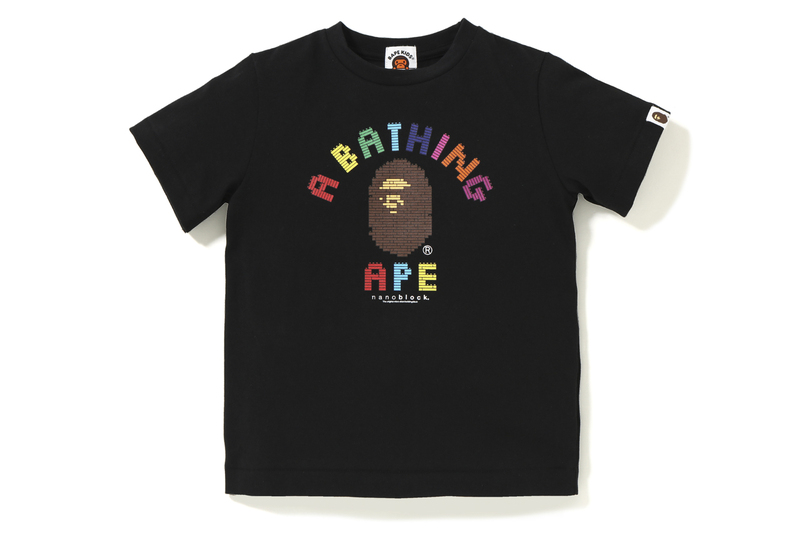 As part of its massive 25th anniversary celebrations, BAPE and its lovable sidekick, Baby Milo, have teamed up with nanoblock on a special building set and range of clothing. Featured in the collection is of course a micro-sized — ranging as small as 4mm x 4mm x 5mm — building block Baby Milo set along with various T-shirts showcasing both Baby Milo and the label’s ubiquitous Ape Head in nanoblock form. Each item will be released in both adult and kid’s sizing and will be priced at $25 USD for the Baby Milo nanoblock; $105 USD for kid’s tee; and $115 USD for adult tee. The full nanoblock x Baby Milo x BAPE range will release at BAPE retailers and online Saturday, November 10.